Due to the interest in the 2017 ISU Classic entries are closed. The meet is full. Priority of accepted entries will be given to those programs that are on the invited team list that are bringing full teams and to individual athletes that have confirmed resume of national class level. This year we will be limiting field sizes by event. DUAL MEET SCORING – Teams bringing a minimum of 14 athletes per gender may be included in Dual Meet Scoring (5-3-1 / 5-0). 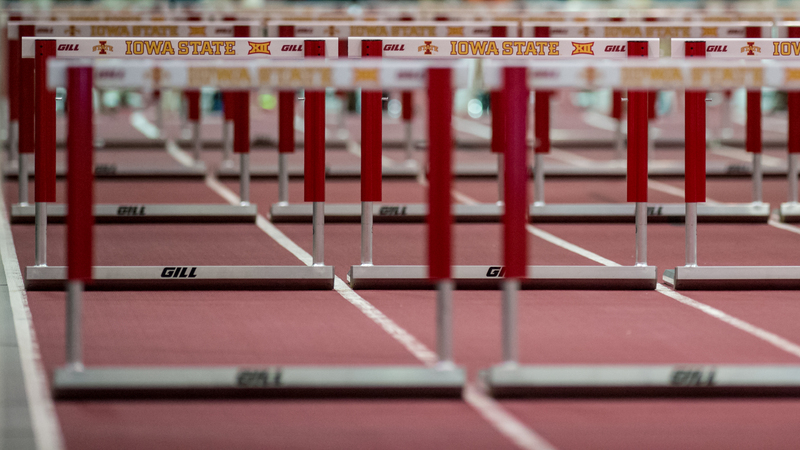 If you would like to be included in Dual Meet Scoring please contact Eric Harasyn (iowastateclassic@gmail.com) no later than the close of entries on Wednesday, Feb. 1 at Noon (CT). Meet information such as event entries, heat sheets, live results and FloTrack will be updated continually, as the information and links are made available. To receive final results from the ISU Classic, contact Iowa State Athletics Communications’ Patrick Tarbox at pmtarbox@iastate.edu. Keep up with the meet’s action via Twitter and Facebook. Event winners and team standings will be tweeted out, while daily recaps will be posted to both platforms. Coaches, athletes and fans are encouraged to tweet pictures, results and comments about the meet using the hashtag #ISUClassic. Be sure to follow @CycloneTrackXC on Twitter for updates on the 2017 Iowa State Classic. The Lied Recreation Athletic Center is one of the nation’s finest indoor track and field facilities. The facility has hosted six Big 12 Indoor Championships and will be the host site through 2017. Lied features a 300-meter track with eight 42-inch lanes, making it the largest and one of the fastest indoor surfaces in the world. Public parking will be available in Lot 100, just south of the Lied Center. All parking will be on a first-come, first-serve basis. Parking for meet officials and working staff is located in Lot 57, west of the facility. This year's Iowa State Classic will be broadcast live on Flotrack.com. The broadcast will be available to FloPro subscribers only. Subscriptions may be purchased on a monthly or yearly basis. Live results will be provided by Prime Time Timing. © 2016 COPYRIGHT IOWA STATE ATHLETICS. ALL RIGHTS RESERVED.